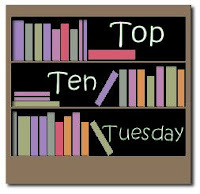 Thanks to The Broke and the Bookish for hosting my favorite weekly meme: Top Ten Tuesday. 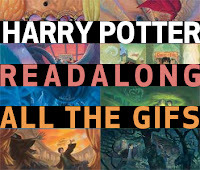 Today's topic is favorite book settings, which I am interpreting as settings that engaged me while reading, not places I would actually like to visit. 5. Cannery Row in Cannery Row by John Steinbeck. 4. The fairy-filled forest in A Midsummer Night's Dream by William Shakespeare. 3. Las Vegas (and Circus Circus in particular) in Fear and Loathing in Las Vegas by Hunter S. Thompson. I think the secret garden and the forest from Midsummer Night's Dream would be sweet places to visit! And I agree with you about creepy houses: they make great settings but I would never want to find myself in one. Steinbeck's Cannery Row and The Peach from James and the Giant Peach! Two excellent choices!!! I love the Peach answer! And I totally was thinking boarding school as a close runner-up (the one in Disreputable History of Frankie Landau Banks). Oh goodness, I totally forgot about THE SECRET GARDEN! Winnnn! Oh yes, the fairy-filled forest in Midsummer Night's Dream. Good call. It's interesting how varied our responses are this week: some people go for entire universes, others for particular spots of certain buildings! I just bought Beloved by Morrison tonight - pretty pumped to read it! I covered almost every place, I think! Here is my Top Ten post! The forest in A Midsummer Night's is a fantastic setting. Great list! Thanks for stopping by! I would love to visit the Garden from The Secret Garden! :) How wonderful and beautiful it would be! Also, giant peach = yummy and sweet mode of transportation! Thank you for visiting! And I love love love Midsummer Nights Dream, one of my favorite plays. The Peach is an awesome choice! I didn't even think of that. Great list. I love the secret Garden. The House in House of Leaves is a great setting. Just don't ask me to got there ;). Great list. The peach is an inspired choice. 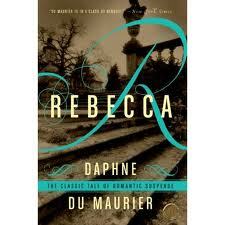 There are some books on there that I have been meaning to read - thanks for the prompt. I totally forgot about the forest in A Midsummer's Night's Dream- great choice! Aww the peach from James and the Giant Peach! I never would have thought of it but a great choice! A secret garden would be so great! I used to love to find hideaways as a child (I still do lol) Settings like this are magical. Creepy houses! That's a good one. Shirley Jackson's The Haunting of Hill House is another good example. I don't know why I've never read House of Blue Leaves-I picked it up countless times in the bookstore. Cool list! I like the creepy houses. I would LOVE to go ghost hunting. One of my favorite things is to find creepy hidden stuff. Cannery Row now or 1945 Cannery Row? I've been there multiple times and today it is a fun, touristy shopping area with some great restaurants. Order the chocolate lava cake ahead of time if you go to the Chart House. The Aquarium still has some of the old canning equipment showcased on it's property along with period pictures. So depressing. I wouldn't have wanted to be there in the early '40's. I love The Secret Garden and Beloved! I'm re-reading Beloved now. The secret garden and the house in The Secret Garden are two great settings. Oh I LOVE the Secret Garden! GREAT pick!! I love your comments. Thanks for making me a happy blogger. My name is Laura and I teach English at a community college. I have two adorable pugs and a wonderful husband. I like coffee and yoga and big blankets and talking about philosophy. Disclosure: I am an Amazon Affiliate. Links on this blog are affiliate links.